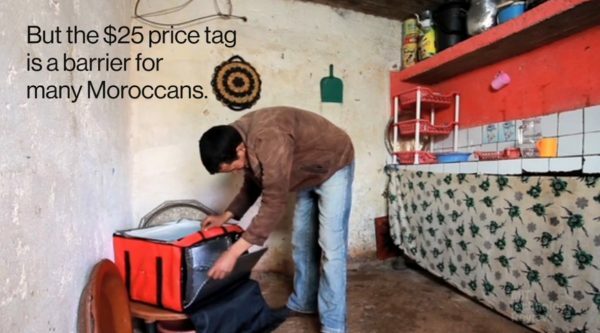 A team of researchers that began their work at MIT found a way to restructure an ancient method of food storage into a mobile, modern unit that looks like a big pizza bag and costs USD$25. It can be used by families in hot, arid regions where money and electricity is scarce to keep foods cool so they last weeks rather than days. 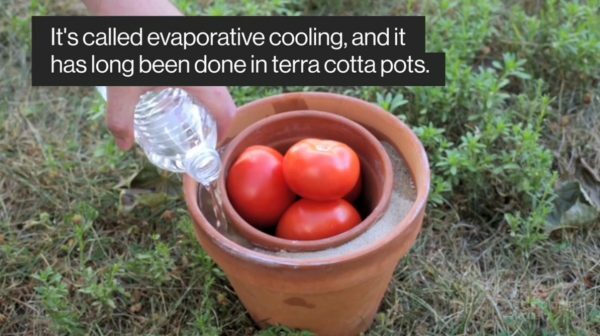 In ancient times food was cooled was achieved by using terra cotta containers buried in sand. These modern Evaptainers use lightweight materials and sit on any above-ground surface, like a table. The containers’ secret sauce is an outside channel into which a liter of water is poured every two days. Slow evaporation produces major cooling in a process quite similar to our bodies’ efficient method of cooling us down through sweat. Hat tip to Dr. Jonathan Hodges for sharing this excellent find.